When I started my research on this topic, I figured establishing direct communication with someone from the Illinois Department of Natural Resources might be difficult. With some knowledge of how the IDNR operates, I started with an informal email and within about an hour I had a missed call and a voice mail. It was nice to see such a quick response. Within minutes, I made a phone call and had the pleasure to speak with and interview Doug Dufford who is the Wildlife Disease and Invasive Species Program manager of the Illinois Department of Natural Resources. Shootingtime.com: Chronic wasting disease (CWD) has been a hot topic among hunters in recent years, specifically when it comes to culling. Why do you believe culling is absolutely necessary? Doug: Illinois is the only state that has been able to suppress the expansion of the disease. Since 2003 the overall infection rate has remained at or around 1% and when compared to what has been happening in Wyoming (with mule deer), the CWD rate has increased from around 15% to over 50% during the same time period. In that same time frame the infection rate in Wisconsin has gone from around 1% to approximately 6%. The main difference is that Illinois pursues localized population reduction. This means targeting local areas to lower local deer populations in hopes to remove infected animals and reduce transmission between animals in order to suppress the progression of disease in those areas. Shootingtime.com: The latest data available (2013 Season) reflects a 49% increase in confirmed CWD cases from the prior year. In your opinion, what contributed to this? Doug: It has to do with the expansion of the range of the disease. As is noted by the research there has been a lowering in cases of CWD in areas like Boone and Winnebago counties, which were once the areas of highest infection. While the cases of CWD in those areas has down the peripheral areas have seen a rise in the number of cases of CWD. Shootingtime.com: What percent of hunter harvested animals provide useful samples for CWD testing? Doug: The vast majority provide good samples. They are primarily done at check stations by IDNR trained staff. Shootingtime.com: Why are no deer checked for CWD outside of first and second firearm seasons? Doug: Actually we do have programs in place to collect samples from animals harvested by hunters during all of the seasons, we contract with meat processors and taxidermists in those areas. The issue is that it would fall onto the individual hunter to seek out those establishments in order to submit heads for sampling. We would really like to have much greater cooperation in this area. Shootingtime.com: In previous years Illinois had mandatory deer checks at “check stations” for all deer harvested. Has the DNR thought about re-establishing mandatory deer checks for all deer harvested in the CWD areas. Doug: The problem is the number of deer harvested during those other seasons is much lower. If you look at archery season for example, about half the number of deer are harvested and the season is about 110 days longer. The number of deer taken during the muzzleloader and CWD seasons is small compared to the traditional gun seasons. We believe that it would not be cost efficient to have mandatory deer checks during these seasons. Shootingtime.com: What is the ultimate goal behind culling? Doug: To suppress CWD infection rates and minimize the spread of the disease is the main hope and to this point we are the only state to have been able demonstrate it. 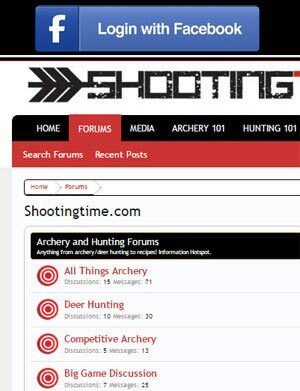 Shootingtime.com: Why do you use sharp shooters instead of using the massive number of hunters? Doug: It has to do with effectiveness; I am in no way saying that the general hunting community is not effective at hunting deer because they are. Sharp shooters can be directed to specific areas rather than a hunter who is in generally very confined in the areas in which they are able to hunt. On average a sharp shooter is 3x more likely to harvest a deer with CWD than the average hunter, both in the same county. This is because sharp shooters are focusing on the areas where CWD has been detected. Shootingtime.com: Does the DNR collaborate with other governing bodies such as the Will County Forest Preserve? Doug: Those other bodies have a different process that guides deer management on their properties . They are mainly focused on their specific deer management goals as far as numbers not that of CWD. They have to apply and document the need for deer management and if those areas happen to fall within or near counties where CWD known to occur they will be required to test the deer that are culled from the herd. 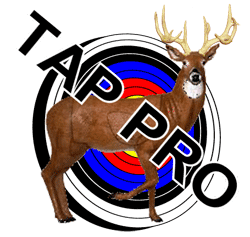 Shootingtime.com: A fellow Illinois deer hunter pointed out that since culling is essentially aimed at the extermination of deer within an area infected with CWD, new deer will have to move into that area to re-establish populations. Do you believe this migration could potentially increase in the number of deer infected with CWD or other diseases? Doug: I suppose that deer moving into CWD infected areas can be exposed to the disease, but the effects of this exposure to the development of the disease is low when compared to the threat posed by allowing localized deer populations to remain high and infection rates to increase. Increasing infection rates in higher density deer population’s results in a much larger number of infected animals dispersing from areas of established infection into unaffected areas thereby spreading the disease across the landscape. Shootingtime.com: Earlier you mentioned increased cooperation from the hunting public would assist with more and potentially very valuable data. How could “we” as Illinois deer hunters be able to assist in a greater number of animals being tested? Doug: Best way hunters can help control the disease is by harvesting more deer and having them tested. This is going to require additional effort on the part of the hunters. We as an agency need to continue to make it easier for hunters to provide deer for testing during all deer seasons. Shootingtime.com: Where can Illinois deer hunters go to find these testing facilities? Doug: On the DNR website’s CWD page there is a list of drop off vendor and drop off stations that people can use to have their deer checked. Information regarding CWD in Illinois is available at http://www.dnr.illinois.gov/Programs/CWD/Pages/default.aspx. The list of vendors and drop off stations can be found at http://www.dnr.illinois.gov/programs/CWD/Documents/CWDSamplingLocations.pdf. The next two question were posed to Doug however he preferred to have other representatives of the IDNR with more knowledge in this area answer them. 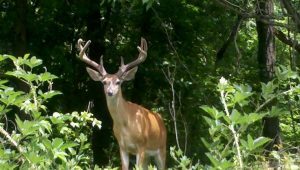 Shootingtime.com: In recent years, harvest totals for whitetails has dropped by approximately 25%. Some would like to blame culling for this, what do you believe has attributed to the decline in harvest and presumably the size of the herd? IDNR: Much of the decline in the number of deer harvested in Illinois over the past several seasons reflects a planned reduction in the Illinois deer population. The Illinois Department of Natural Resources manages deer populations for all the citizens of Illinois, and those citizens hold a wide variety of views concerning appropriate levels of deer. As a result, we must weigh those concerns when setting deer population goals. The goal is to provide significant recreational opportunities for our hunters, while ensuring herd health and controlling the amount of negative deer/human interaction (such as crop damage and deer/vehicle collisions) at acceptable levels. In 2007 the Illinois General Assembly, responding to citizen complaints about too many deer, unanimously created the Joint Task Force on Deer Population Control. This Task Force recommended specific county deer population goals for DNR’s deer management program and called for a statewide reduction of 14% in deer numbers from the peak levels observed in 2003. The Department has been working to meet those objectives since then and succeeded in reaching the statewide target in 2012. Although the overall statewide goal was achieved, some counties were still above target population numbers according to last year’s data. Shootingtime.com: Some believe the state is not the only one providing the funding for deer culling. The speculation is that the “insurance companies” or other backers are actually paying the state for deer eradication. What are your thoughts on that? IDNR: Contrary to popular belief, there has been no insurance industry pressure on deer managers anywhere in the Midwest to reduce deer populations. Those companies have actuaries who assess risk of accidents (all causes) and adjust rates accordingly – persons who live in areas where accident risks are high pay an insurance premium that reflects that risk. No one is paying the state “for deer eradication”. I must admit when I started this process there was a large fear that the IDNR would not respond or would only respond with seemingly “canned” answers. We at Shootingtime.com would like to thank Doug Dufford of the IDNR for his time and providing us real answers to to our questions. The two questions Doug differed to other IDNR professionals to answer are the type of answers I feared at the onset of this project. They are just simple copy and past answers that are approved for reproduction. These are the type of answers that anger individuals wanting to gain further information on the Illinois Deer herd and what is being done to manage it. My opinion is that many people who try to get information on this topic only receive those “canned” answers. I have not seen any occurences of direct contact with the manager of the program as Shootingtime.com has been able to do. From being in contact with both sides, its clear that the passion to have a strong deer herd is equal when talking with Doug and Jeff; both are just on different sides looking at the same problem. It can be concluded that the IDNR should probably do a better job of public awareness when it comes to CWD testing.